Synopsis: Fans of the Impossible Life by Kate Scelsa is the story of love, loss, growing up and the magic - and terror - of finding friends who truly see the person you are and the person you're trying to become. It's a story about rituals and love, and of those transformative friendships that burn hot and change you, but might not last.SEBBY seems to carry sunlight around with him. Even as life in his foster home starts to take its toll, Sebby and his best friend Mira together craft a world of magic rituals and impromptu road trips designed to fix the broken parts of their lives.MIRA is starting over at St. Francis Prep. She promised her parents she would at least try to pretend that she could act like a functioning human this time, not a girl who can't get out of bed for days on end, who only feels awake when she's with Sebby.JEREMY is the painfully shy art nerd at St. Francis who's been in self-imposed isolation after an incident that ruined his last year of school. When he sees Sebby for the first time across the school lawn, it's as if he's been expecting him.As Jeremy finds himself drawn into Sebby and Mira's world, he begins to understand the secrets that they hide in order to protect themselves, to keep each other safe from those who don't understand their quest to live for the impossible. Somewhat unremarkably, Fans of the Impossible Life starts with three characters drowning in their problems: Jeremy, Mira and Sebby. It’s a classic cataylst: three hopeless teens meet each other and find hope with one another. Jeremy is the victim of homophobic bullying; Mira has a history of depression and suicide attempts and Sebby is a queer fosterkid who tries to hdie his pain behind his quick wit. Sound like a motley crew? That’s because they are – meeting at an art class, they find they have more in common than not and find their best support network is themselves. Fans of the Impossible Life isn’t quite so simple, though. Whilst it does start on that foot, Scelsa quickly switches and the novel enters altogether darker territory – prostitution, drugs, depression, bullying, and foster care. And whilst it’s true that the characters do (sort of) find hope in each other, it’s only half the story, and the novel ends in a half-tragedy (not the kind that is easily resolved in death). This is Scelsa at her best: when she’s penning YA that’s grittier than what fills the charts, when she can tap into the rawness of life. Less successful is her choice of narrative: a bizarre 3 perspectives, each told in a different person: Jeremy in the first person, Mira in the second and Sebby in the third. It’s a confusing, jolting and frankly amateurish; Mira’s narrative is perhaps most coherent, being in the third, but the combination of the three completely spoils any sort of consistency Fans of the Impossible Life had to start with. 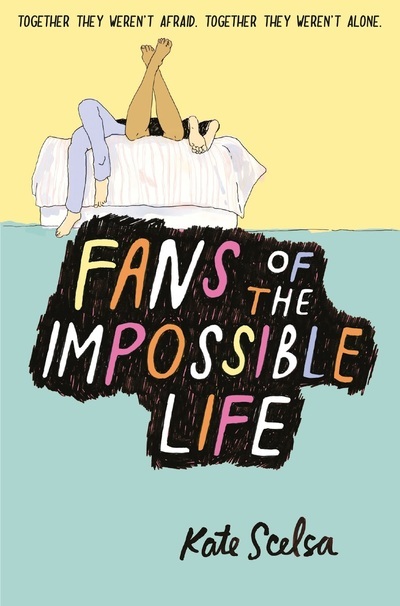 Some poor creative choices mean that Fans of the Impossible Life can only be a mediocre read. Whilst it touches on some engaging themes and characters (Sebby’s rawer, less contrived story is particularly good), the narrative problems of the novel drag the whole book down with them. It’s disappointing given the novel’s strong concept, but the execution has literally executed this novel. Unfortunate.